Traffic and crime-suppression police greeted their new boss with flowers at Pattaya Police Station. Pol. Col. Prawit Chorsang took over March 18 from Pol. 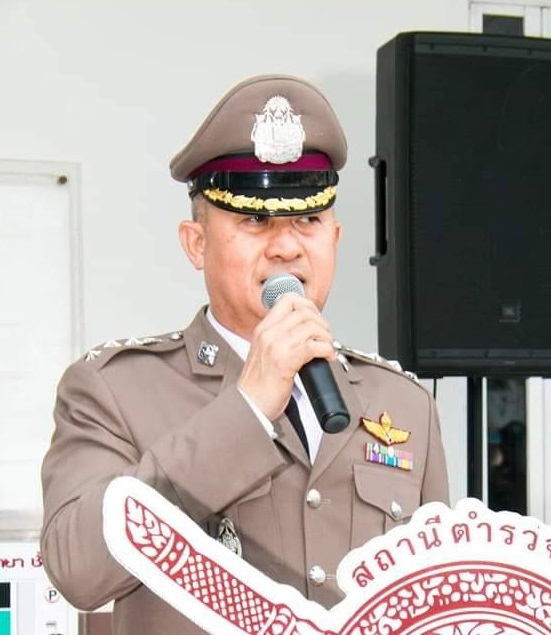 Col. Apichai Kroppech, who was named deputy commander of the Nonthaburi Provincial Police. Prawit was the police chief in strife-torn Yala Province and is one of 1,450 top Royal Thai Police officers reshuffled into new positions this month.